sometimes what you can find, doesn't look so great. For those reasons, this motivated me to grow my own. Below, you will see the step-by-step process to grow your own organic garlic. 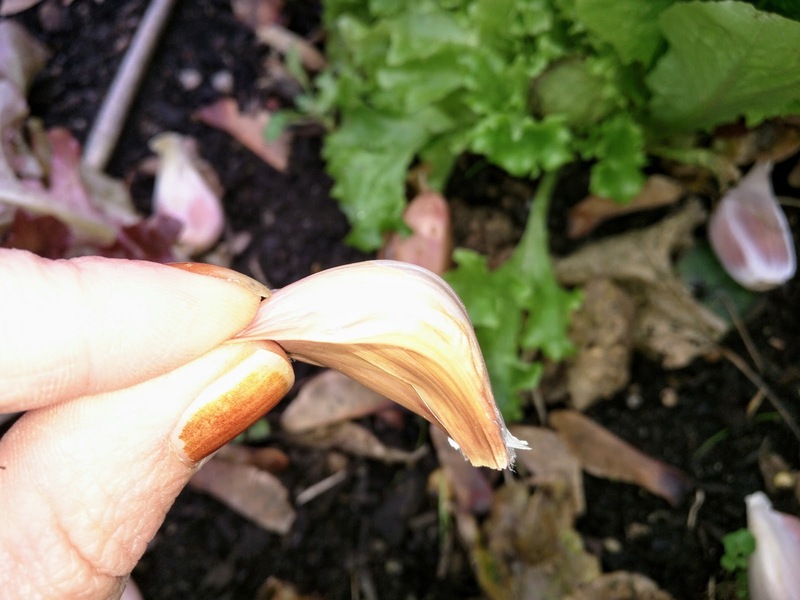 The goal to growing garlic in moderate climates like Philadelphia, is to get enough top growth in fall, so the garlic has a good start in the spring, but not TOO much tender growth before winter. Garlic will survive if it gets frozen back to the ground once. If it happens a second time, it decreases the yield. 1. First, choose your largest cloves. Lay them out at your planting site, approximately 4-6 inches apart. 2. Plant cloves about 2 inches deep. Pointy side up! And here's a pro tip, use your thumb, which is roughly 2 inches long, to create the space for your garlic cloves. 3. Cover with 2-4 inches of mulch, (i.e. hay, straw, shredded leaves) and water accordingly. 4. 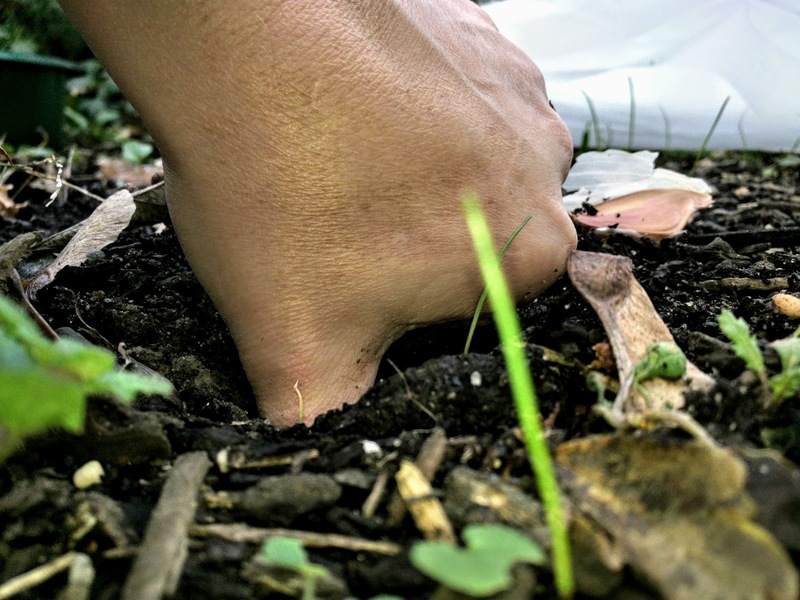 Harvest in mid-summer (late June-July) when leaves turn yellow/brown by driving a digging fork straight down to loosen soil around garlic and lift out. Avoid damage to the bulb. 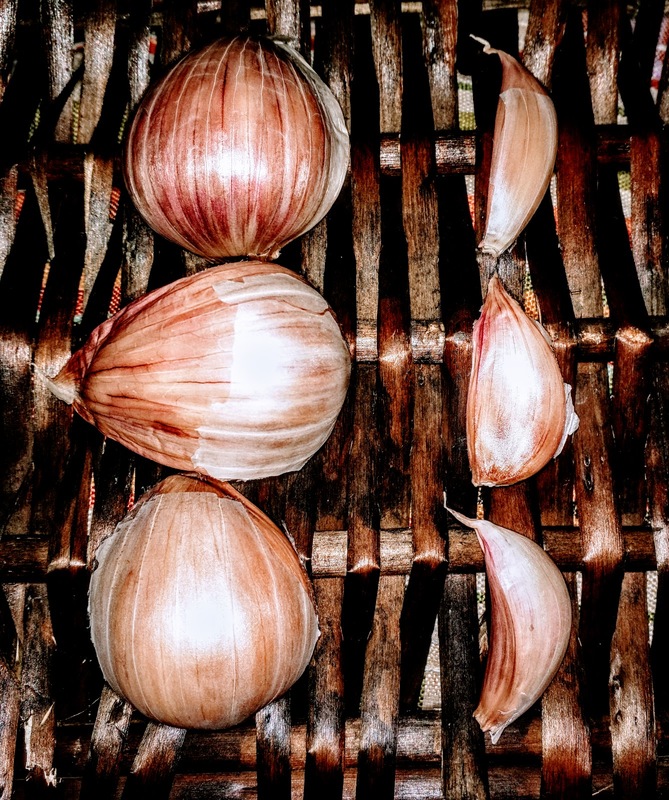 Softnecks are milder and produce more cloves per bulb. They store longer and are the ones that can be braided. You will need to apply at least 1 inch of water per week during dry periods through mid-June. Reduce irrigation after mid-June to encourage clove maturation and to discourage bulb diseases. Garlic can be cleaned and eaten as “spring” garlic as soon as it’s harvested. The rest can be cured in a dark spot that is cool and dry, either braided and hung or laid flat, for about 4 weeks until a papery wrapper forms. It helps to harvest your garlic when it has 4-6 leaves that are still green, to get a good wrapper layer. 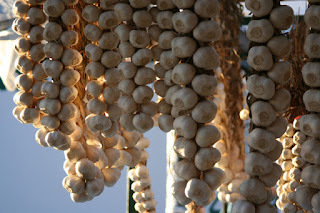 Garlic can be grown where you will plant your warm weather crops (e.g. tomato, eggplant and peppers) for the next year. Just inter-plant those sun-loving veggies in late spring and the garlic will be ready for harvest before the warm weather crops grow big enough to shade them out. After your harvest, remember to set aside your biggest and best bulbs for next year’s “seed” stock. 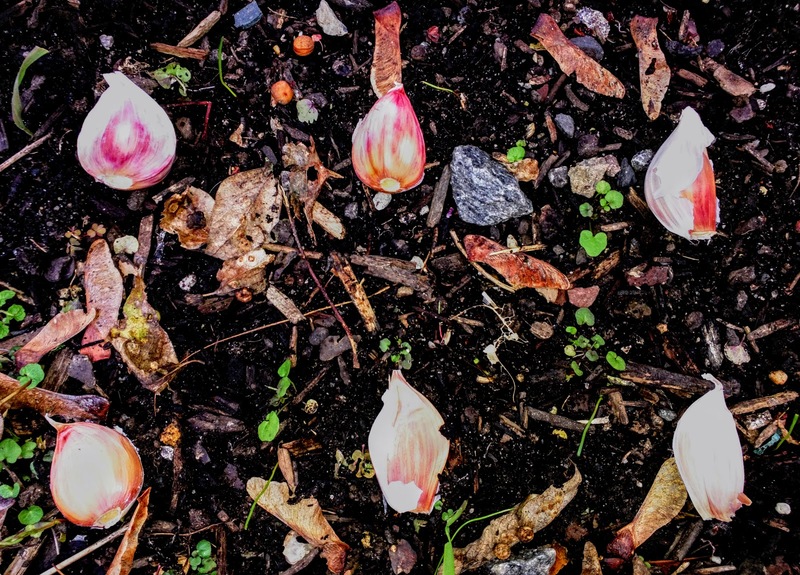 These bulbs have acclimated and are now uniquely suited to the conditions of your garden. Combine all ingredients in a clean jar and shake vigorously. Cut off the top 1/4 inch of the garlic heads. Drizzle with olive oil and roast in a covered pan for an hour or until very soft when pierced with a knife. 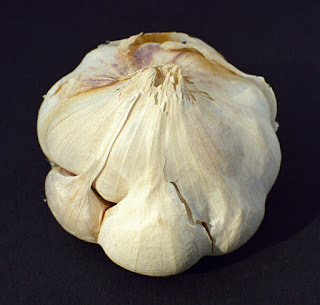 Add garlic to the food processor by squeezing the root side to remove the cooked cloves from the wrapper. Add vinegar, mustard, salt and blend well. With the food processor running, add oil until just combined. Don't over blend. Try this variation if you want MAXIMUM garlic flavor, to beat a cold or to drive away a vampire. Add 1-3 cloves of raw garlic, along with the roasted garlic, when blending. Enjoy! This post is very good but probably should have been posted a little earlier for the Philadelphia gardeners. 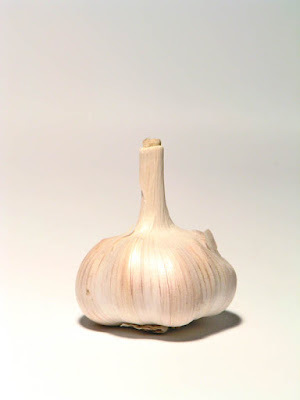 It's too late now to grow garlic. We wish we could have published this sooner. However, I did learn from a local gardener that she was still going to try to put hers (she has raised beds) in next week when the weather is anticipated to be milder. You are welcome. If there are specific topics that you would like to learn more about, let us know!